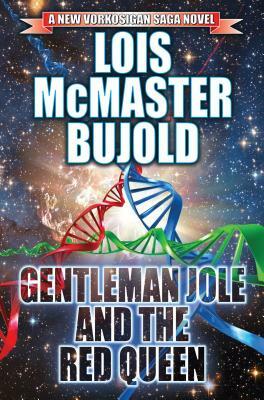 A NEW NOVEL IN THE AWARD WINNING SERIES FROM MULTIPLE NEW YORK TIMES BEST-SELLING AUTHOR LOIS MCMASTER BUJOLD Cordelia Naismith Vorkosigan returns to the planet that changed her destiny. Three years after her famous husband's death, Cordelia Vorkosigan, widowed Vicereine of Sergyar, stands ready to spin her life in a new direction. Oliver Jole, Admiral, Sergyar Fleet, finds himself caught up in her web of plans in ways he'd never imagined, bringing him to an unexpected crossroads in his career. Meanwhile, Miles Vorkosigan, one of Emperor Gregor's key investigators, this time dispatches himself on a mission of inquiry, into a mystery he never anticipated - his own mother. "Bujold mixes quirky humor with action and] superb character development... E]normously satisfying." --Publishers Weekly. A science fiction legend, Lois McMaster Bujold is one of the most highly regarded speculative fiction writers of all time. She has won three Nebula Awards and six Hugo Awards, four for best novel, which matches Robert A. Heinlein's record. Bujold's Miles Vorkosigan saga is a massively popular science fiction mainstay. The mother of two, Ms. Bujold lives in Minneapolis.